The Fashion Culture belt bag features a bejeweled dragonfly applique for a bit of flare. A dazzling, stylish necessity for concerts, shopping and going out. 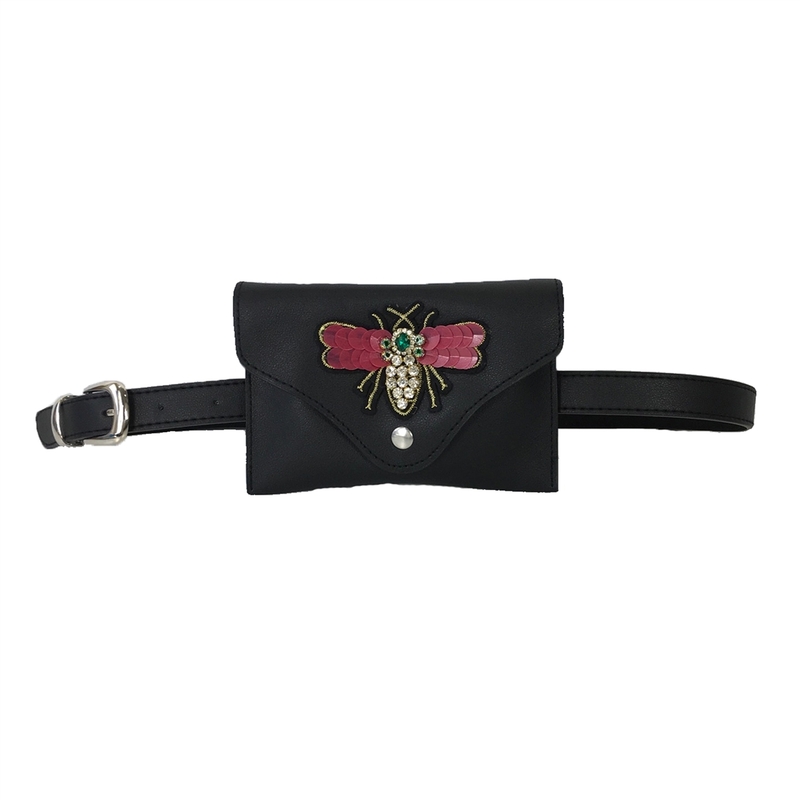 And who says they have to be worn on your waist, carry across your body for a stylish twist. 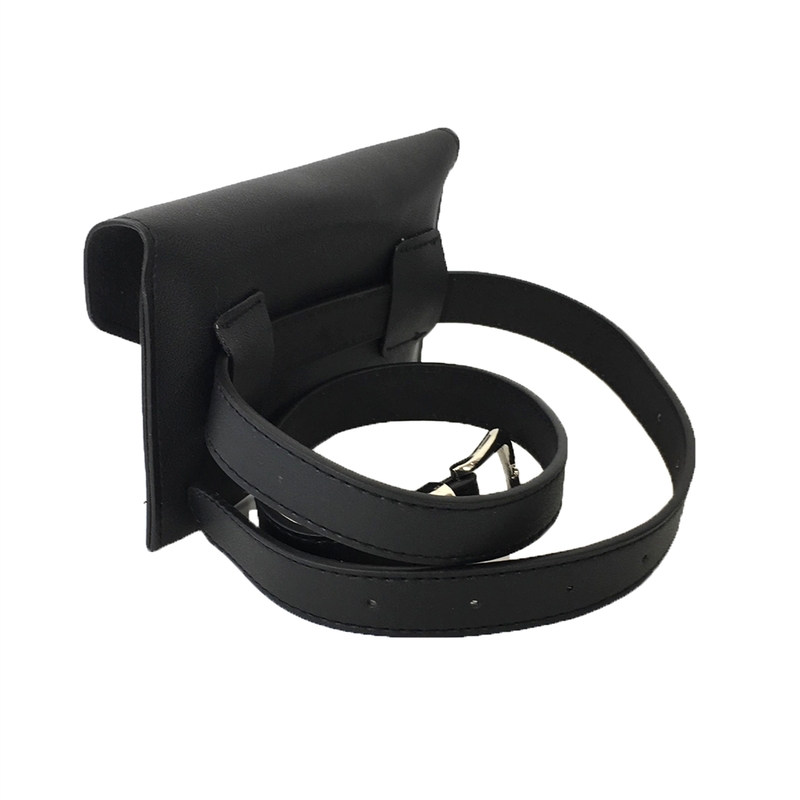 Slim belt bag waist pack in synthetic leather. 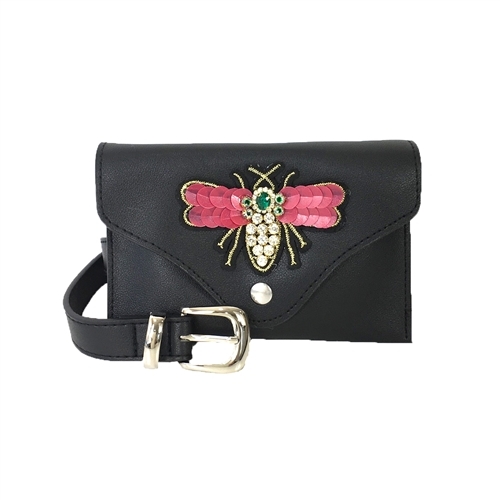 Front features a dragonfly applique bejeweled with crystal accents. 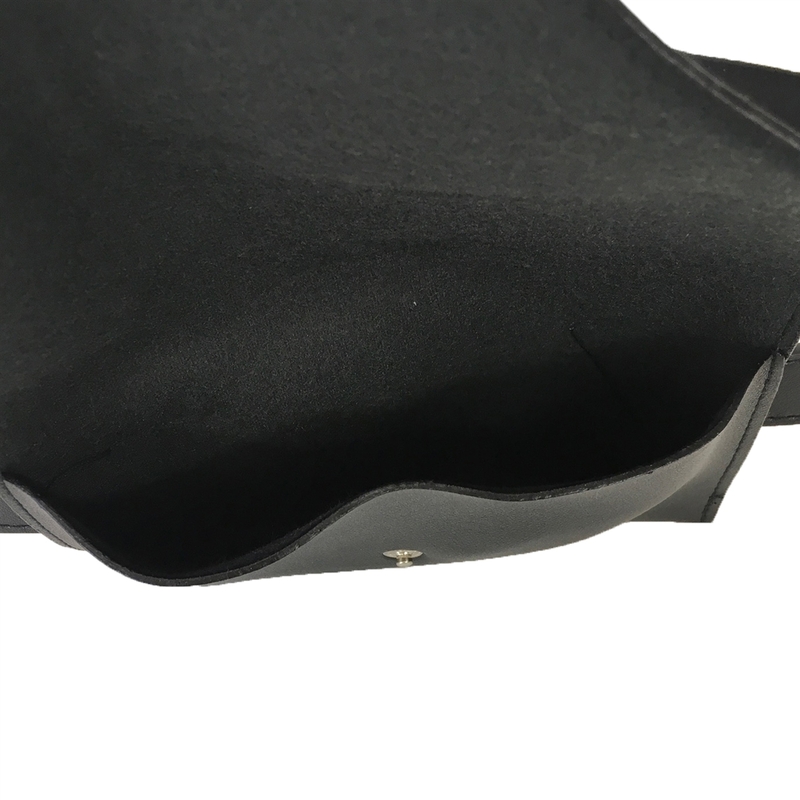 Snap closure. Unlined. Fits standard size iPhone and cards.